England in the fifteenth century was the cradle of much that would have a profound impact on European music for the next several hundred years. 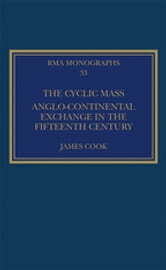 Perhaps the greatest such development was the cyclic cantus firmus Mass, and scholarly attention has therefore often been drawn to identifying potentially English examples within the many anonymous Mass cycles that survive in continental sources. 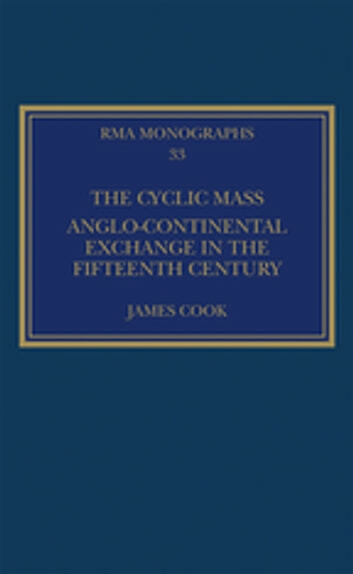 Nonetheless, to understand English music in this period is to understand it within a changing nexus of two-way cultural exchange with the continent, and the genre of the Mass cycle is very much at the forefront of this. Indeed, the question of ‘what is English’ cannot truly be answered without also answering the question of ‘what is continental’. This book seeks, initially, to answer both of these questions. Perhaps more importantly, it argues that a number of the works that have induced the most scholarly debate are best seen through the lens of intensive and long-term cultural exchange and that the great binary divide of provenance can, in many cases, productively be broken down. A great many of these works, though often written on the continent, can, it seems, only be understood in relation to English practice – a practice which has had, and will continue to have, major importance in the ongoing history of European Art Music.